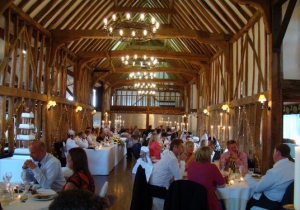 Hi there, just wanted to say I was at your event last week in Suffolk and the food was delicious, there is nothing like a well cooked hog roast, Chef was really entertaining and chatty which was great considering the weather was bad. Looked really professional guys so keep it up and I will ensure you get some referral hog roast hire business. Parkers provide a comprehensive wedding catering service and we are frequently booked for both the wedding breakfast and evening reception catering. If you are planning a wedding and looking for an outside caterer then Parkers hog roast and BBQ’s will not only be your most cost effective option we will also provide a really top class service. Our top class chefs and high quality trained waitress service will ensure that not only is the food perfect but it is served up with a very professional and polished service. We cover all of East Anglia and beyond and our speciality hog roast and BBQ service is a regular choice for evening wedding receptions and weddings that have marquees. We have a good planning service and will work out the perfect menu for you and where you need other reputable suppliers such as the wedding cake we can recommend the best to you. We can take bookings any day of the week, but saturdays in the summer in particular are the most popular so our recommendation to you it is never to early to book before we get too booked up! So if you are looking for a good reliable and professional service that is also really good value then you should call Parkers now and see how we can provide the best catering for your wedding at the best price. We have been involved in many a memorable wedding event and for all the right reasons. They can range from the just the simple evening reception to the wedding breakfast itself and with our experienced team we can help you work out all the logistics and timings on the day also. Parkers wedding catering service is reliable and dependable and our staff are all very friendly, please contact us whatever your needs and we are always happy to help.